Automation is being introduced in every sector and banking is one of those sectors which have experienced a high level of automation in last few years. From making payments online to opening an account, all the tasks have been automated. One of the major tasks of the bank is to take deposits from the people and for that the bank employs a lot of staff. The problem with this is that the bank can't take cash deposit around the clock as the workforce has its own limitations. Moreover, chances of mistakes are also higher when people are given responsibility to take cash deposits. Banks recently decided to automate this task by deploying ATM machines which can take a cash deposit. 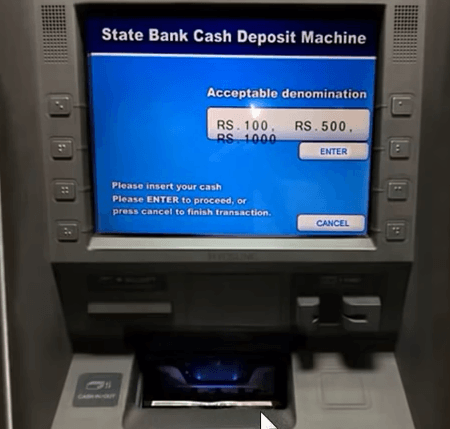 That is right, it is now possible to deposit cash in an ATM machine and the advantage of this is that you can now deposit cash even at 2 am at night. These machines have also made the process more efficient and there is no provision of errors left. In addition to this, the transactions made through ATM are also more secure and reliable. 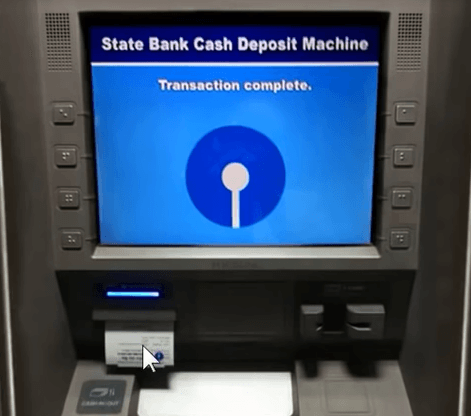 In this article, we have listed the steps to guide you about depositing the money through SBI ATM (Cash Deposit Machine). Step 1. The first step is to find an ATM that can take the cash deposit. You can search using SBI ATM locator. Simply select CDM in category and enter address to search nearby CDM. This will help you in locating the nearest ATM that can take the cash deposit for you. Step 2. Once you have reached the ATM, you can insert your ATM card and then click on 'Banking'. Now select the 'language' and in next screen, you will be prompted to 'enter your ATM Pin'. Step 3. After entering the ATM Pin, Click on 'Deposit' and then click on 'cash deposit'. This will display a message regarding the deposit. You can't deposit more than 200 notes and amount no more than Rs. 49900. Step 4. Click on 'confirm' button and choose your account type from Savings or Current Account. Step 5: After selecting the bank account type, the cash slot will open. You need to put the money in that slot and ensure that the notes are not folded. Click on 'Enter' button after placing your cash in the machine. 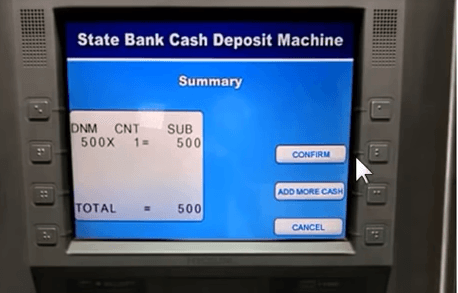 After pressing enter, the machine will start counting the currency and if in case there is a folded note, the machine will open the cash compartment and you can collect the note from there. Often the note is also rejected because of the crease lines or the folds so ensure that there is no fold on the note. If the note is counterfeit then the machine will keep the note and you will get another receipt for the same. Step 6. Now, press the enter button again and the 'summary' of cash deposit will be displayed. You can also click on add more cash to add cash and you can click on 'confirm' button to deposit the cash. Step 7. Once the cash has been deposited, you will receive a receipt for the same and the money will be added to your account. Note: You can deposit only 100, 500 and 2000 notes.